A campaign created for the International Anti Poaching Foundation. Animals are being poached very frequently and it's difficult for authorities to locate these poachers. 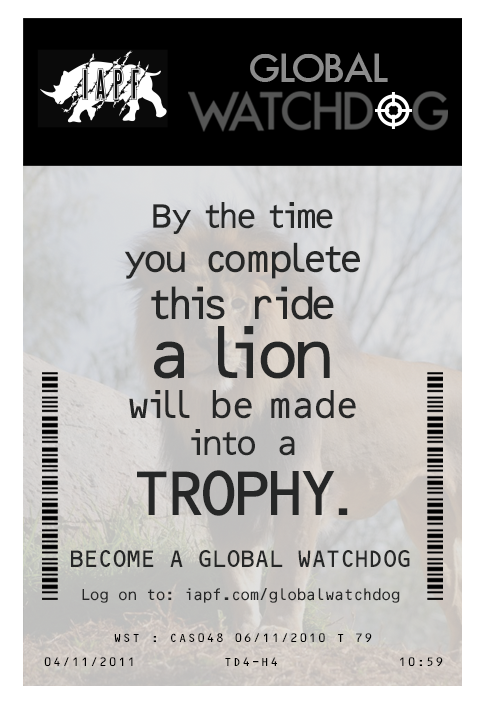 Through Global Watchdog we can be on the lookout for poachers and save the wildlife. 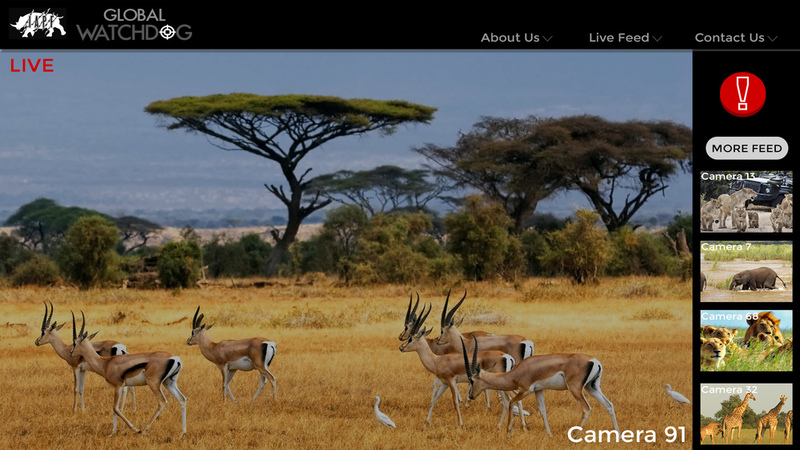 All you have to do is watch the feed and press a button if you see a poacher. This will alert the authorities and send them the location of the poacher. In Disney Land we remind people that while they are in queues, they can become Watchdogs and save the animals from poachers. A reminder at Grand Central Station for waiting travellers.